Are You Sure You Don't Want to Jailbreak Your iPhone? 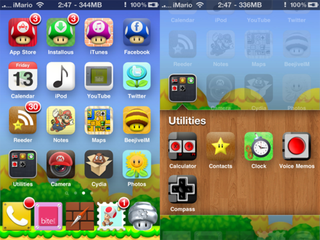 Reader Paul Brown sent along images of a new iMario theme he created for the iPhone 4. The catch? You'll need to jailbreak your phone to install it. Makes me wish I had an iPhone 4... a jailbroken iPhone 4.